Join us for the biggest TREC networking event of the year! RiSE celebrates another year of achievements and success within Capilano University's tourism community and provides an opportunity for soon-to-be tourism graduates to connect with alumni and industry professionals. This event is the perfect chance to connect with CapU tourism students who are ready to put their skills to work and find your next tourism superstar! 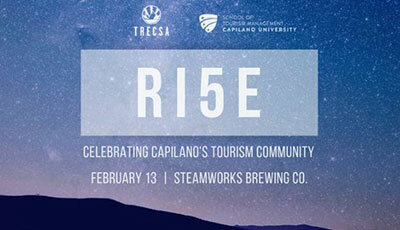 CapU Tourism alumni, students, and industry partners are all invited for an exciting evening at Streamworks Brewing Co! The dress code for the event is business casual.